This field trip is open to all elementary students! Please RSVP to confirm your attending! We're getting a behind the scenes tour of the SC Johnson corporate office on 11/3! This is a HS trip ONLY! Please RSVP! Please RSVP if you are joining us in Kewaunee. 6th-12th Graders are visiting Harley Davidson on 11/10! Please submit payment via eFunds and RSVP! Make sure to RSVP that you plan on attending the WCTC tour and information session. Make sure to RSVP that you plan on attending the Madison Area Technical College tour and information session. Please RSVP and pay through eFunds! Please RSVP to let WVL know that you'll be joining us! WVL's Elementary school is meeting at the Children's Museum of Eau Claire on 12/9! Please make sure to RSVP and pay via eFunds! 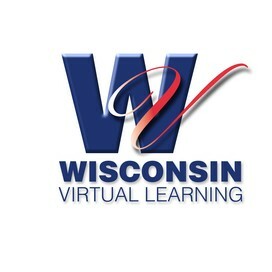 Join Mr. Doucette and the WVL staff in Green Bay- all grades are welcome! Please RSVP and pay through eFunds!